Due to the extreme temperatures of the recent winters in our area many people have discovered that even in today’s advanced world you can still wake up to frozen pipes! Who has the time to sit around and wait for the plumber? Or worse, come home from a vacation and discover that your pipes have burst from freezing while you were enjoying warm weather. The problem of having your pipes freeze in the extreme cold can be attributed to a couple things. First reason is the obvious one - insufficient insulation around plumbing. Most homes are insulated with fiberglass or cellulose, neither one is designed to stop the cold from coming into your walls and home. Their sole purpose is to slow down the rate at which your home loses the heat in it. So, under normal conditions that fiberglass holds enough heat from your house that your pipes don’t freeze. The last few winters have been exceptionally cold at times. When temperatures are that extreme, the fiberglass itself gets freezing cold, and heating systems can barely keep up with conditioning our homes. The pipes need true insulation that would separate them from the extreme cold weather and protect them from freezing. This is where our injection foam wall cavity insulation excels! We are able to solve your freezing pipe problem without having to destroy your home. We drill small strategically placed holes and fill the area around your pipes with foam, encasing the pipes with foam and protecting them from mother nature. We have had and continue to have great results doing this. 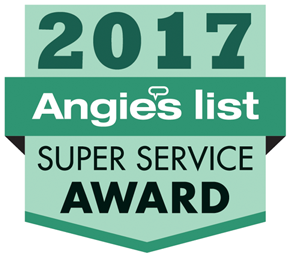 I encourage you to read our reviews on Google and Angie's list. The second reason that your pipes might be freezing can be two-fold. Insufficient insulation PLUS poor placement of the pipes is a major problem. In almost every house, there is some plumbing that runs in the exterior walls of the building. Most of the time if they are insufficiently insulated we can fix that with our techniques. But if those pipes are mounted to the exterior sheathing, leaving no space to get any spray foam insulation behind them, the problem might not be fixed with foam. We will be able to better determine the existence of this scenario upon visual assessment with our high-tech cameras. The only way to fix that problem is to have the pipe moved away from the freezing cold plywood. This is why we cannot give you a 100% guarantee your pipes won’t ever freeze again. However most of the time injection foam will keep your pipes from freezing. Please remember we are in the insulation business and cannot unfreeze your pipes- therefore they need to be thawed before we begin our work of insulating them.